The Roughneck Tornado Site Boots are made from full grain leather, with a reinforced heel kick region and padded collar and tongue. The boots have steel toe aps and composite midsoles. A composite midsole has the same protection as a steel midsole, but with greatly improved flexibility and comfort. This helps to reduce fatigue and increase comfort in everyday use. 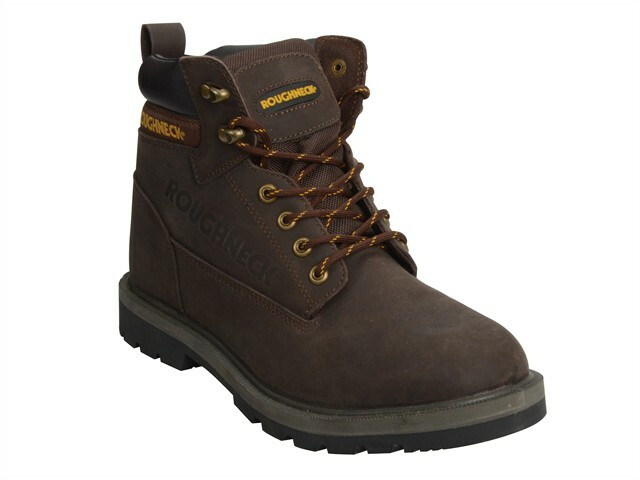 The boots have PUR soles that offer chemical and oil resistance and shock absorption.